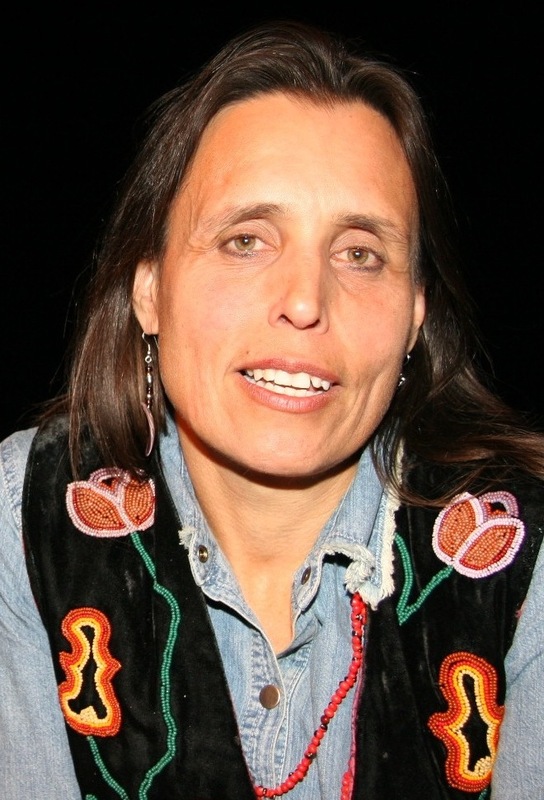 Winona LaDuke (Anishinaabe) is an internationally acclaimed author, orator and activist. 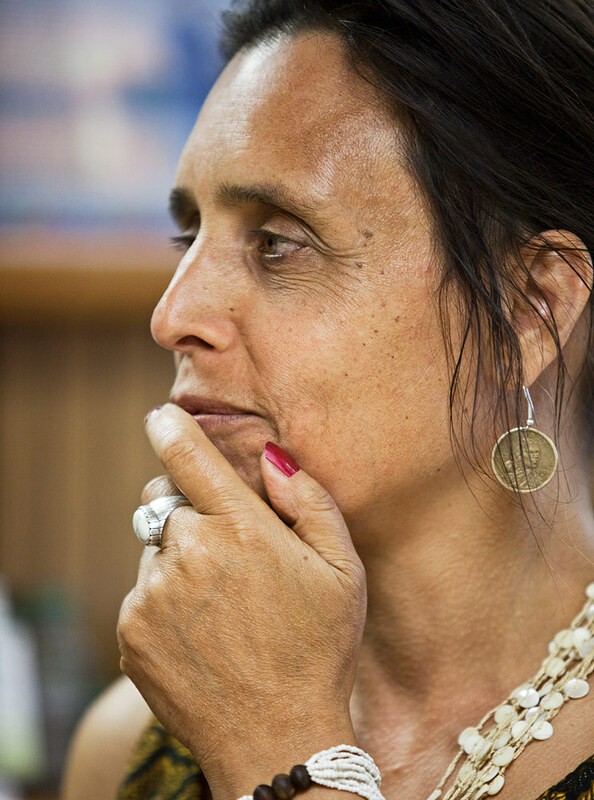 A graduate of Harvard and Antioch Universities with advanced degrees in rural economic development, LaDuke has devoted her life to protecting the lands and life ways of Native communities. 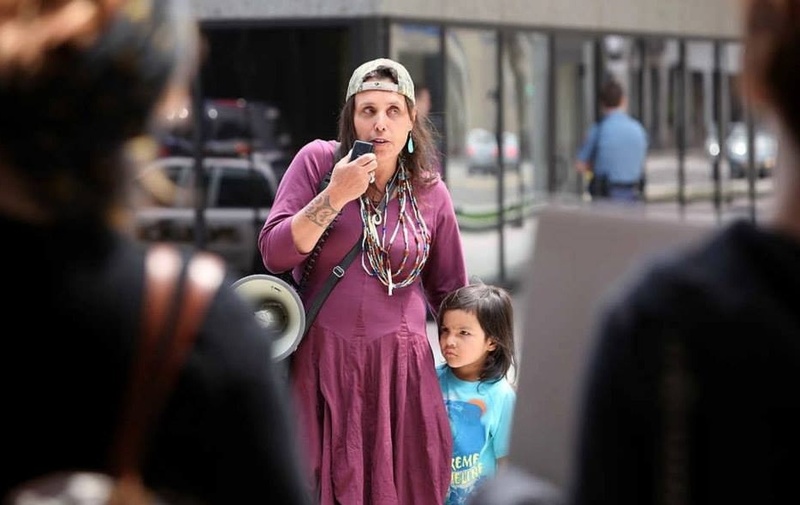 LaDuke is founder and Co-Director of Honor the Earth, a national advocacy group encouraging public support and funding for native environmental groups. 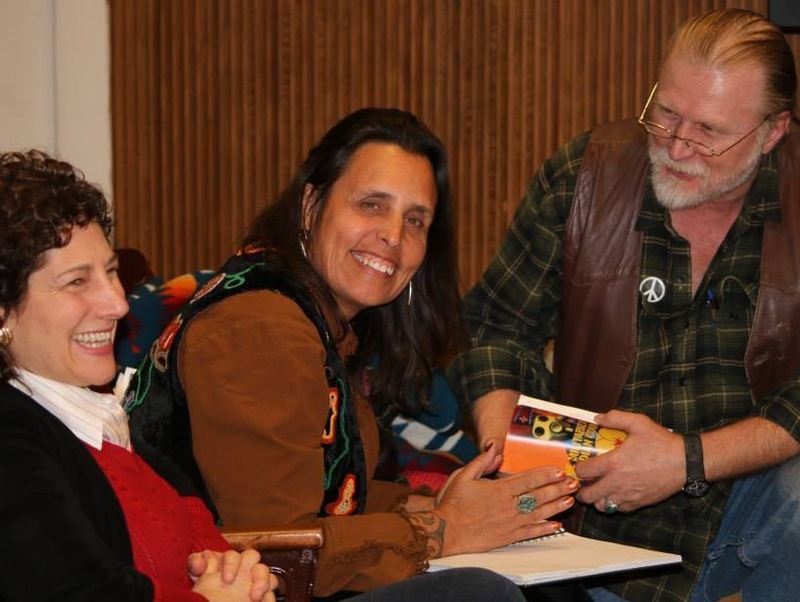 With Honor the Earth, she works nationally and internationally on issues of climate change, renewable energy, sustainable development, food systems and environmental justice. 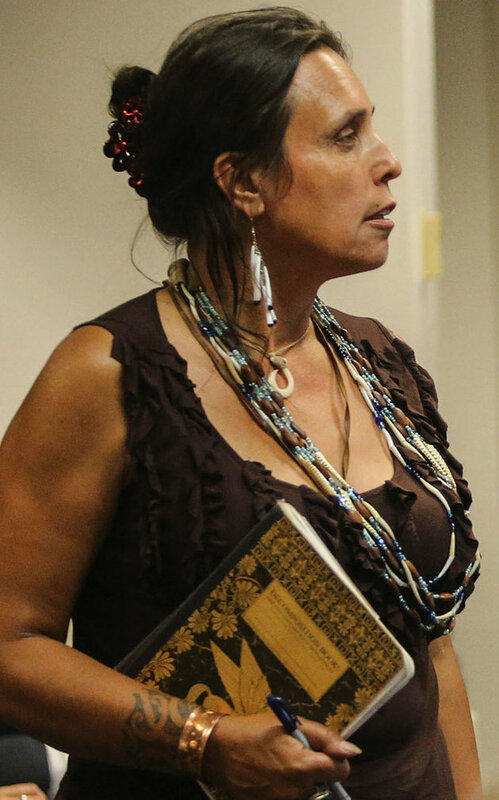 In her own community in northern Minnesota, she is the founder of the White Earth Land Recovery Project, one of the largest reservation based non-profit organizations in the country, and a leader on the issues of culturally-based sustainable development strategies, renewable energy and food systems. 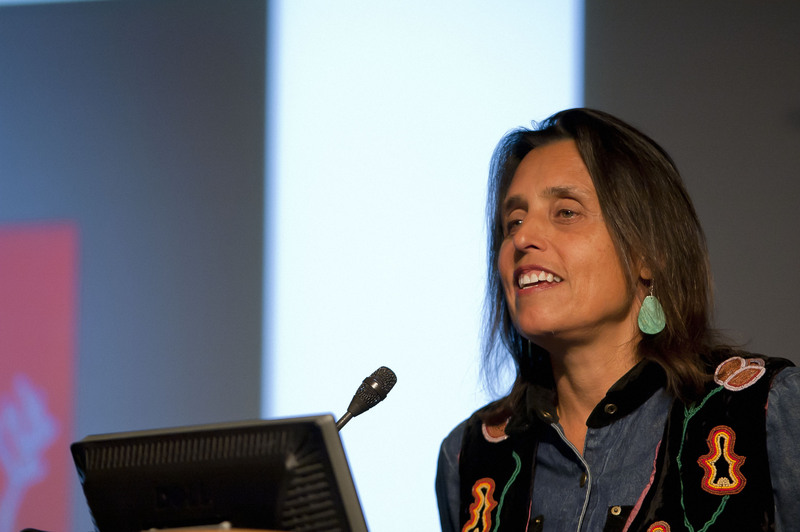 In this work, LaDuke also works to protect Indigenous plants and heritage foods from patenting and genetic engineering. 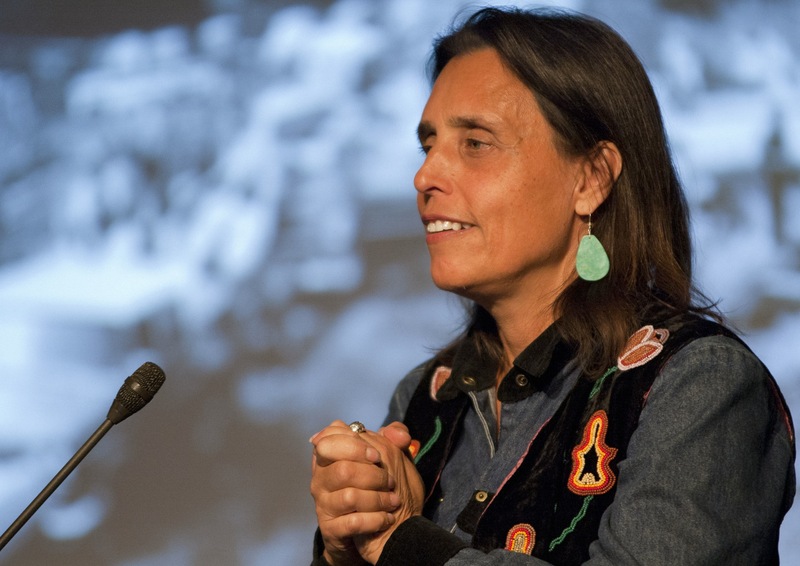 In 1994, Time magazine named her one of America’s fifty most promising leaders under forty years of age, and in 1997 LaDuke was named Ms. Magazine Woman of the Year. 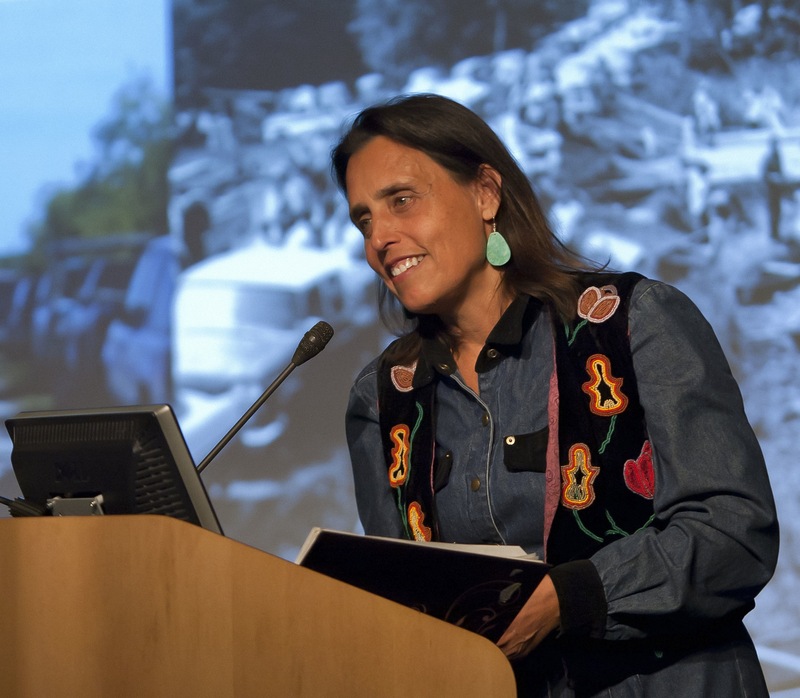 Other honors include the Reebok Human Rights Award, the Thomas Merton Award, the Ann Bancroft Award, the Global Green Award, and the prestigious International Slow Food Award for working to protect wild rice and local biodiversity. 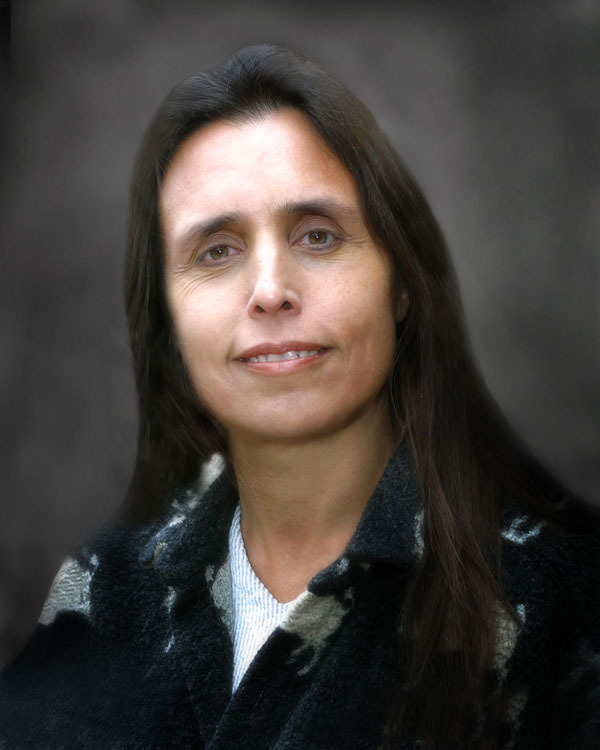 In 2007, LaDuke was inducted into the National Women’s Hall of Fame. 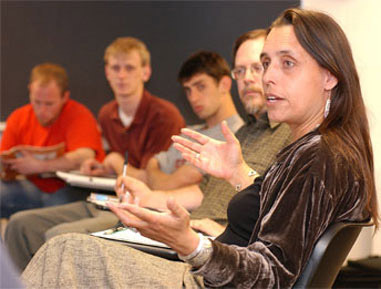 LaDuke also served as Ralph Nader’s vice-presidential running mate on the Green Party ticket in the 1996 and 2000 presidential elections. 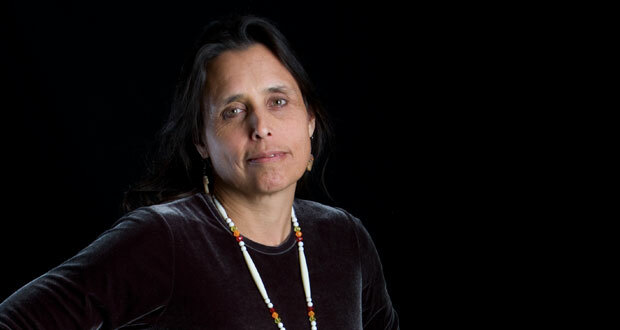 In addition to numerous articles, LaDuke is the author of a number of non-fiction titles including All Our Relations, The Winona LaDuke Reader, Recovering the Sacred: the Power of Naming and Claiming, Food is Medicine: Recovering Traditional Foods to Heal the People and her latest, The Militarization of Indian Country. 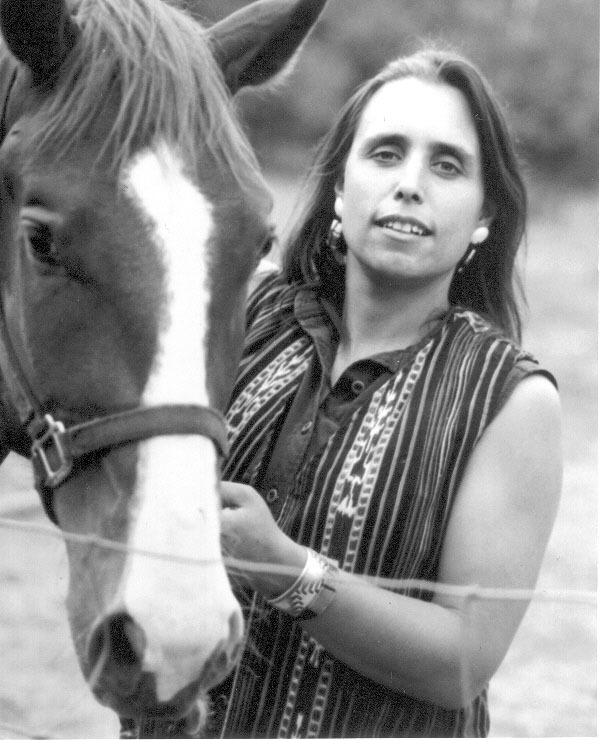 She has also penned a work of fiction, Last Standing Woman, and a children's book, In the Sugarbush. 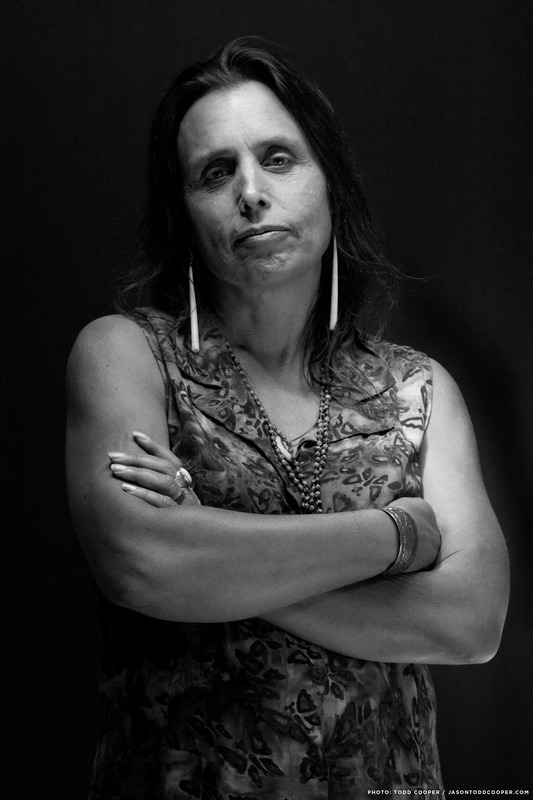 Outspoken, engaging, and unflaggingly dedicated to matters of ecological sustainability, Winona LaDuke is a powerful speaker who inspires her audiences to action and engagement. "Winona has a wonderful way with people, bringing out the best in them, helping them to focus on things that matter and which they maybe hadn't taken seriously before. Winona is grounded with a light-hearted courage that gets people to feel good about opening up to constructive change." "Winona's event was fantastic! 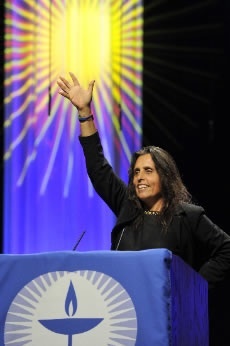 She is such a dynamic and intelligent speaker, yet at the same time, entirely approachable and warm. Our audience loved the talk!" 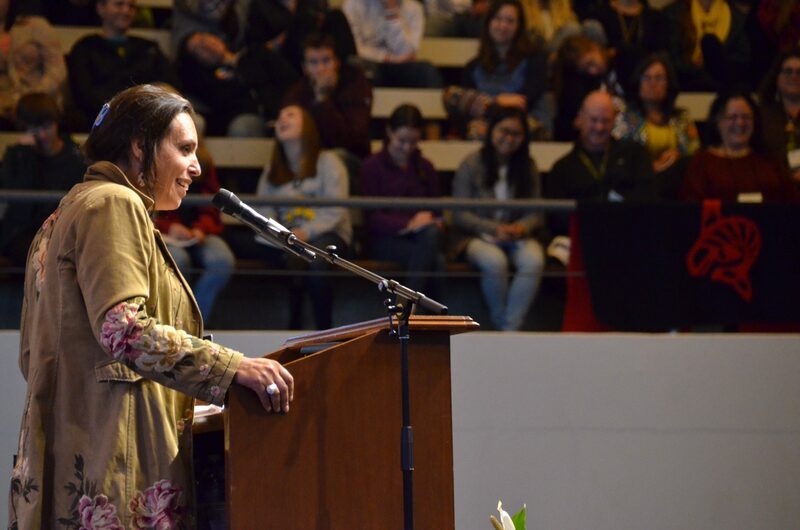 Winona LaDuke was an excellent speaker and provided very informative and thoughtful insights on the experiences of Native Americans, land use, agriculture and cultural traditions. She was engaging at all times and personable in her relationships with faculty, staff and students in our community. 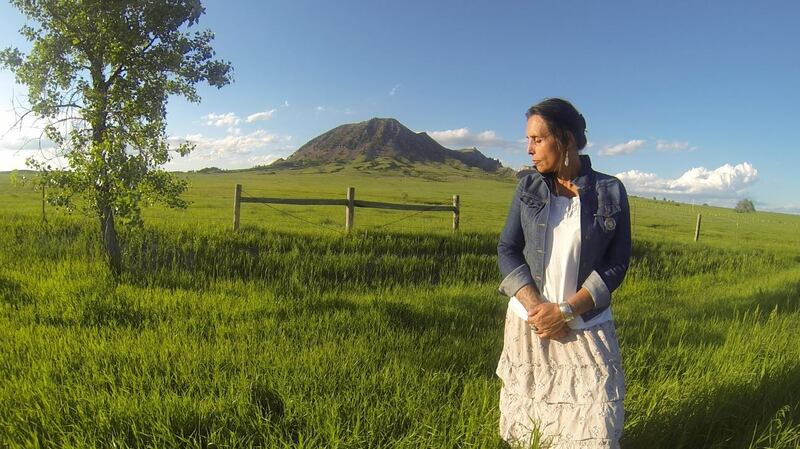 She met with members of the Native community and shared dinner with them. She was great! 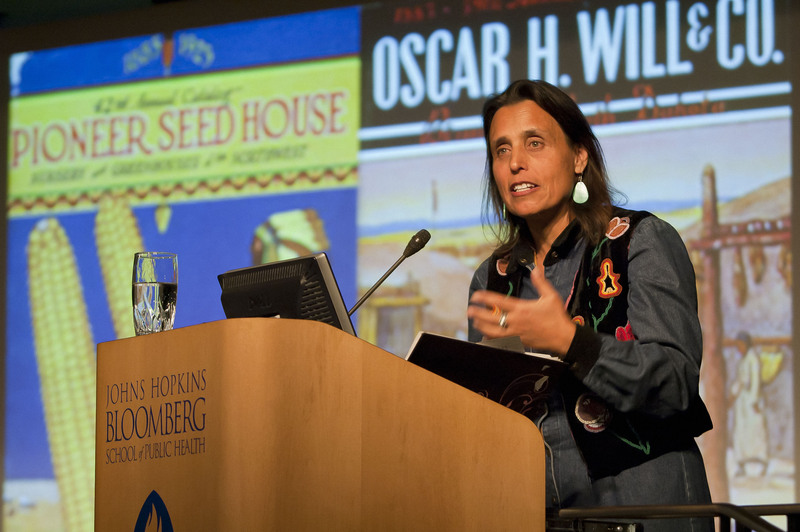 "Outspoken, engaging, and unflaggingly dedicated to matters of ecological sustainability..."